Between the blood-soaked neon signs, the thumping synthwave tunes, and the smacked out hobos, you don’t get much of a chance to comprehend what’s happening in the background of Hotline Miami. After slamming our trusty baseball bat through another mobster’s face, Hotline Miami had us reeling and searching for the answer to the question: just what the hell is going on here? The story starts out with you being accosted by three masked people, all of them recognize you but of course, you have no knowledge of them. As the story unfolds and your character’s grip on reality splinters in the form of talking corpses, you begin to realize that what you’ve been doing and who you’ve been killing might not be as clean cut as you once thought. The main narrator, your character, is unreliable at best. The storyline is told through fractured beats, rushed levels, and splitting soundtracks, all working to keep you off-balance. 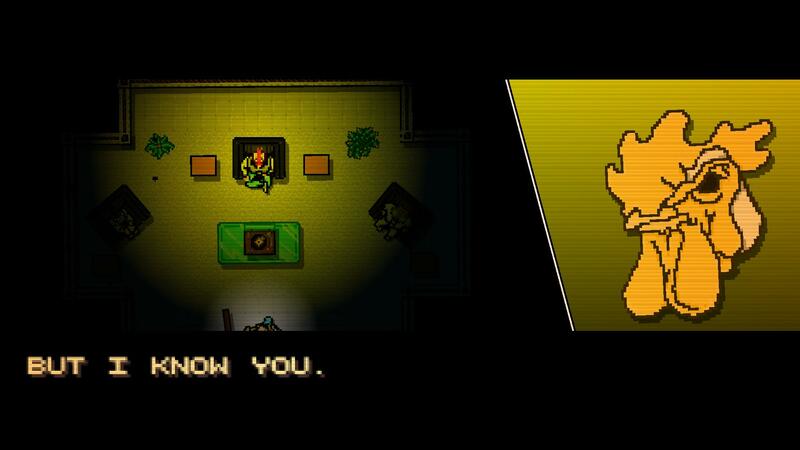 You work to clear increasingly difficult missions as your character dives deeper into the underbelly of Hotline Miami. A conspiracy unfolds as characters around you die and get replaced with other killers. Someone is working behind the scenes, targeting the Russian mob and the United States police all at once, and the one they’ve chosen to dish out the dirty work is you. Even after finishing the game, you’re going to be left asking questions. The man behind the curtain might not be the right answer. Up until the final moments of the game and probably after, you won’t know whether the main character is losing their mind or if something more nefarious is happening with the citizens in Hotline Miami. Whatever the case, our answering machine says there are more “situations” out there that need our attention. Portal is more iconic for its incredibly well-designed puzzles and the sassy narration of GLaDOS, but it is one game that made us pause and question the reality around us. GLaDOS tasks you with solving, as with Hotline Miami, increasingly challenging puzzles, sometimes even goading you into believing they’re impossible. It’s these lies that GLaDOS sprinkles throughout the test Chambers that slowly chip away at our resolve as we begin to question the purpose behind our actions. The moment we stopped and began questioning reality was precisely when we started getting attached to another entity in Portal, the Weighted Companion Cube. As you progress through Portal, GLaDOS presents you with the promise of reward, be it cake or finally answering the question of who your parents are. It wasn’t these lies that messed with our minds, but the Weighted Companion Cube and our actions. Portal gave us an existential crisis. As you move through these puzzles, GLaDOS reminds you that there is a purpose and that you will receive cake as a reward. In the end, we all know this to be a lie. 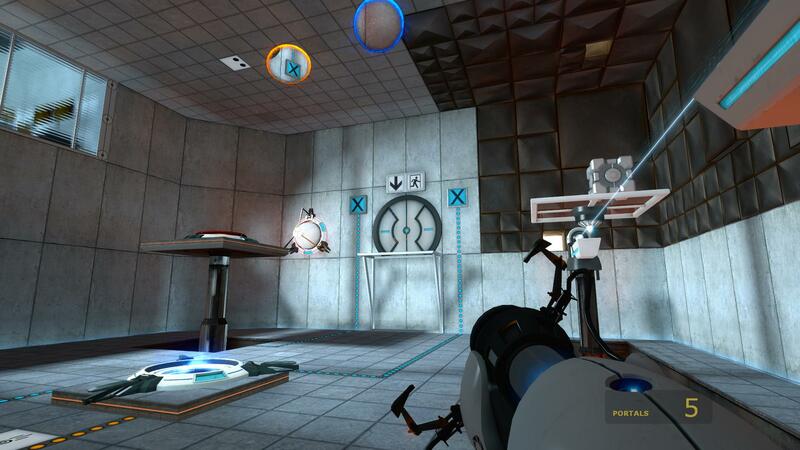 Without being too dour, Portal’s commentary on rewarding perseverance made us question real life. To what end does my existence matter? Much like the Weighted Companion Cube is our existence important or are we just someone else’s stepping stone? The Weighted Companion Cube and the dilemma it presented shook us to our core. It made us uncomfortable with every-day life, and it made us ask the question: do I have a greater purpose? If you haven’t played the first BioShock, would you kindly bookmark this page, go and play BioShock, and come back so we can talk about how it blew our minds? When BioShock was revealed in 2004, players unfamiliar with the System Shock series were given their first look at what has been touted as System Shock 2’s spiritual successor. 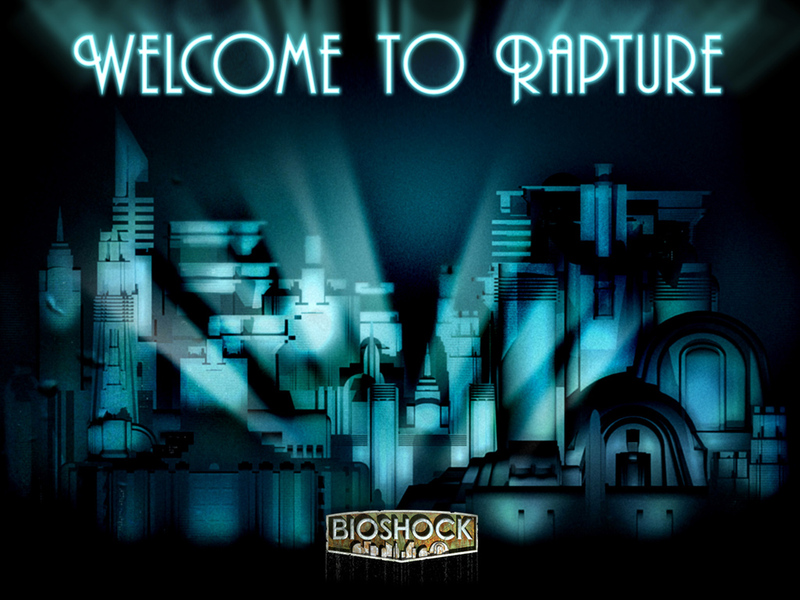 BioShock introduced us to Rapture, a city set below the ocean, overrun with crazed citizens, and huge men in diving suits protecting little girls. It was a setting and a theme so unusual that we had no choice but to experience it. As with most almost everyone, the moment when our jaw dropped and we called into question our very existence was when we met Andrew Ryan face-to-face for the first time. The entire game leads up to this moment, and to have our very motives revealed left us reeling with the possibilities. But aside from the main twists, there are the countless allegories to real-life ethical problems that left us questioning ideologies. BioShock introduces us to the idea of harvesting power from evil looking children, a world where science was not limited by a set of guidelines, and where artists were able to express themselves without being shamed. While communities aren’t debating whether to harvest children, the contentious subject of stem cell research is still very much alive as are artistic freedoms and forms of expression. BioShock made us analyze ethics, both our own and societies. Ignoring questions like, who is John Galt, we asked ourselves questions like: what could science accomplish without limitations, what would art be like without the censor, and would we kindly do it all again? Yes. Yes we would. Do you have free will? Because we’re not so sure anymore. The Stanley Parable, Davey Wreden’s first-person narrative game, has us scratching our heads about whether or not we have choices. The Stanley Parable starts off like any other game; you take control of Stanley and an innocuous voiceover informs you about who Stanley is and what his existence means. As you begin to move, you realize that the narrator is describing what you’re doing. You follow it along as it directs you around an office and eventually to your fate be it good or bad. Then it starts all over again. You decide to try something different, you take a right instead of a left and the narrator adjusts accordingly. The game ends and restarts. You try even more wild decisions, but the narrator adapts. He also tells you that this isn’t the path you’re supposed to be on, constantly trying to bring you back. 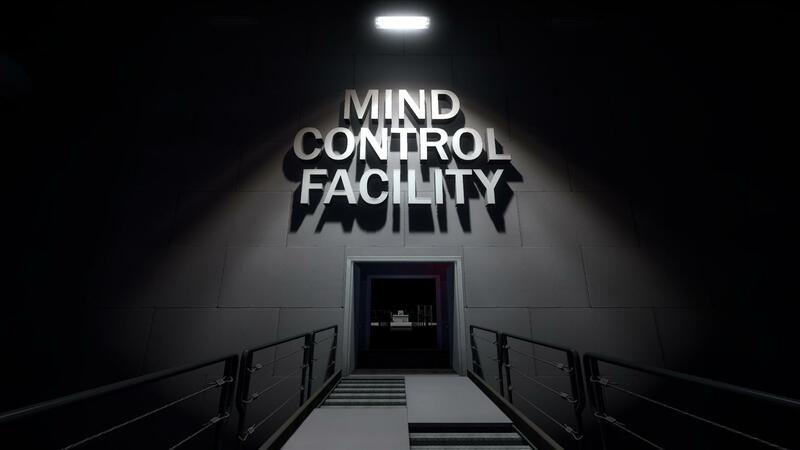 In The Stanley Parable, you’re given the option to move off-course and select your own fate, but it’s also spelled out to you that this isn’t the way things are supposed to happen, that Stanley’s life is already decided. Naturally, the next step is to question your own reality. Was the choice to have Thai for dinner my own or was I always going to have it? Are my choices predetermined or do I have a say on what happens in my life? Can I make decisions, am I going against a predetermined plan, or am I always following the plan despite the decisions I make? We’re not so certain whether our decisions mean anything anymore. There’s no hard evidence that life isn’t predetermined, but by that same thought, there’s no hard evidence that I lack free will? So I ask again, do you have free will, or is it just an idea invented by a predetermined mind? For the final game on this list that made us question reality we’re diving back beneath the ocean, and consciousness, to visit the world of SOMA. Now if playing a game set so deep in the ocean where the only source of light comes from Anglerfish doesn’t give you the creeps, then the subject matter will surely fix that. 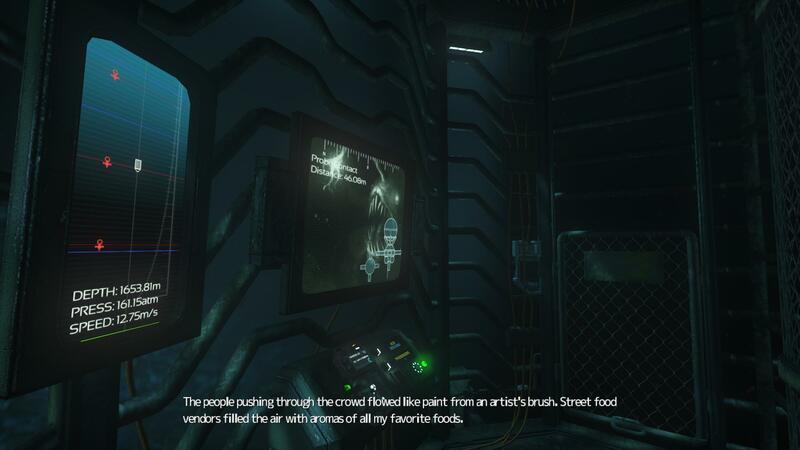 Birthed from the warped minds of Frictional Games, SOMA delves into the depths of the Atlantic Ocean and the depths of the human subconscious in an effort to answer the question: what does it mean to be me? Simon finds himself suddenly transported from a brain scan clinic to an underwater base that has fallen into disrepair. As you guide Simon through the underwater nightmare it becomes apparent that nothing is right. You come across numerous robots who believe they are humans, who swear black-and-blue that they need to see a doctor, not a mechanic for their crushed robot leg. The game steps up the creepy factor as you realize you too are a robot. But how could that be, you were alive moments ago getting your brain scanned? As this new realization washes over your mind, you are tasked with uploading your consciousness into a new body. As you enter the new body and turn around, you see your old body sitting in a chair, still breathing. You haven’t cut-and-pasted your consciousness, you’ve copied it. The old body and mind are still alive. The game shifts from creepy to morally and ethically ambiguous as you must decide whether to keep your old self alive or mercy kill it. The meaning and effect behind this first copy-paste can be easily overlooked for those who are unfamiliar with this problem of self, but it is later revisited as you once more copy-paste yourself and find you aren’t actually in the new body but still in the old one. You lost the proverbial coin-flip. This is the problem, and it’s a very real one (and a problem faced in the movie The Prestige): if you could transport your mind into another location to ensure survival, would you? Of course. But the problem comes when your mind isn’t being relocated, but copied. It means that a copy of your mind is going to be left behind in the old location; it will die along with the body. The crux of this issue stems from whether you, the “you” reading this right now, is going to be the one that shifts or the one that stays. SOMA made us question the reality of uploading your mind to a harddrive to become immortal. Would the mind in the harddrive be me? Of course it would be me. But would it be the “me” writing this now? I’m still not sure where I sit on this problem, but one thing is for certain, SOMA was the one game that made me uncomfortable about my own mind and what it means to be me. What do you think is missing from our list of games that make you question reality? Here's our Top 5 list of the fighting games that pack a punch!